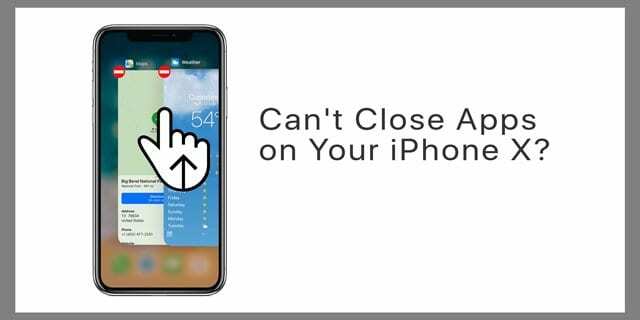 You are here: Home / iPhone / Can’t Close Apps on Your iPhone X Series (XS/XR/X)? Here’s How We Do It! 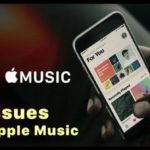 Can’t Close Apps on Your iPhone X Series (XS/XR/X)? Here’s How We Do It! 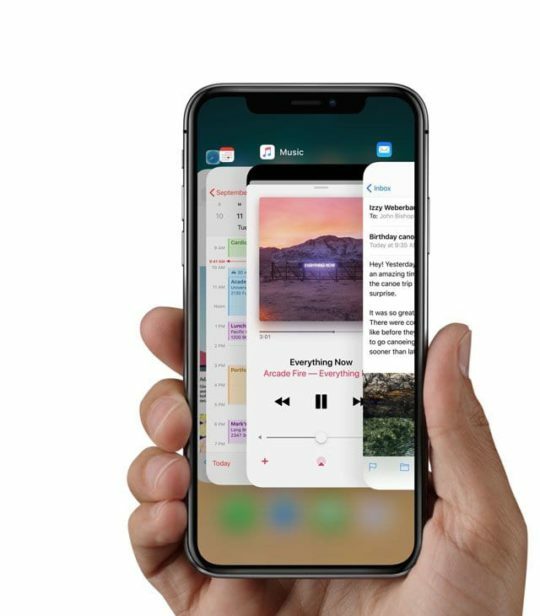 We all know that the iPhone X Series’ redesign changes how we do quite a lot of things, like reaching Siri, opening Control Center, even shutting down the phone itself–all different. And all things that we need to re-learn! One unexpected lesson is that our usual method to force close an app doesn’t appear to work on the iPhone X/XS/XR and newer model iPad (without home buttons.) So just how do you close apps on your iPhone X Series or iPad without Home? 2 No Home Button, No Problem! 2.2 For folks using iOS 12, things are back to basics! 2.4 For folks using iOS 11, things are a bit more complicated! iPhone Missing Battery Percentage? We’ve Found It! 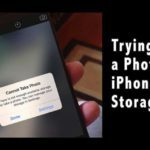 A Dozen and One Tips to Re-Learn on Your iPhone X! 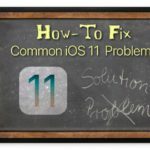 Apple recommends only force closing an app if you need to restart it or if the app crashes or is otherwise not performing. Closing apps does not improve your device’s performance, unless an app is acting up. Apps that you see in your App Switcher are in a suspended state and are generally not using up any of your device’s resources. However, depending on your settings, some apps do run in the background if you’ve enabled background refresh. Apple maintains that force closing an app does not improve battery life. Indeed, quitting apps unnecessarily may actually drain battery because iOS needs to reload the app. No Home Button, No Problem! When we had the now-defunct Home Button, it was as easy as a double tap on and swipe up on the app preview once the specific app was located. 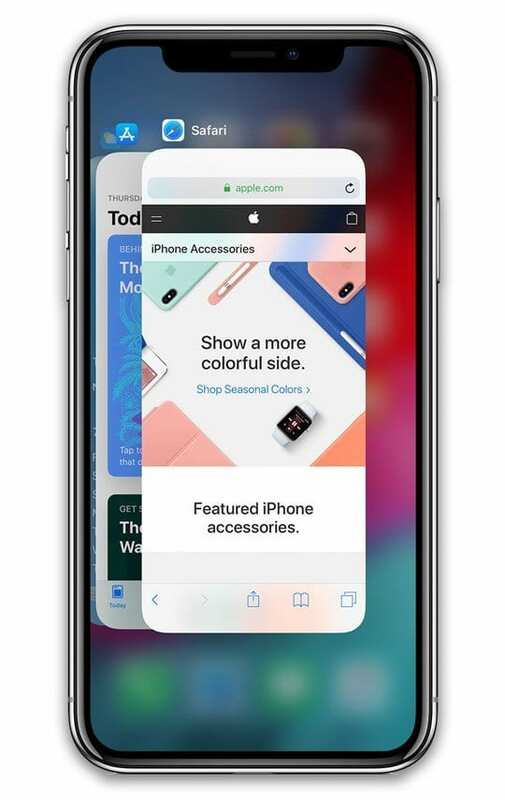 On your iPhone X Series or newer iPad, the routine is a little different–first press and hold your bottom Gesture Bar then swipe up to reveal all your app preview cards in your App Switcher. If your iPhone uses iOS11, you need to tap and hold the app preview and then tap on the minus sign to close the app. 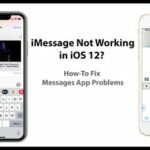 For folks using iOS 12, things are back to basics! Some folks tell us that they need to add in a short hold after swiping up from the bottom to the middle of their screen to invoke the app switcher. Another way to switch between apps on an iPhone X Series phone (XS/XR/X) is to swipe left or right along the bottom edge of your screen, just below the Home Gesture Bar. This action cycles you through all your open apps. A left-to-right swipe takes you to the last previously used app and a right-to-left swipe takes you to all the apps. 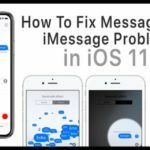 For folks using iOS 11, things are a bit more complicated! Unfortunately, many folks with iPhone X models tell us it just ain’t working. Instead, they’re redirected to the Home Screen–not what they wanted at all! It takes a forceful touch! You need to force touch (or tap and hold) until the app preview tiles show the minus icon (-) in the corner then swipe up to close. When you just swipe up without force touch, the iPhone X sends you back to the home screen. Yup, this is another Apple iPhone X adjustment and one that like some others (Control Center anyone?) will definitely take some time getting used to. 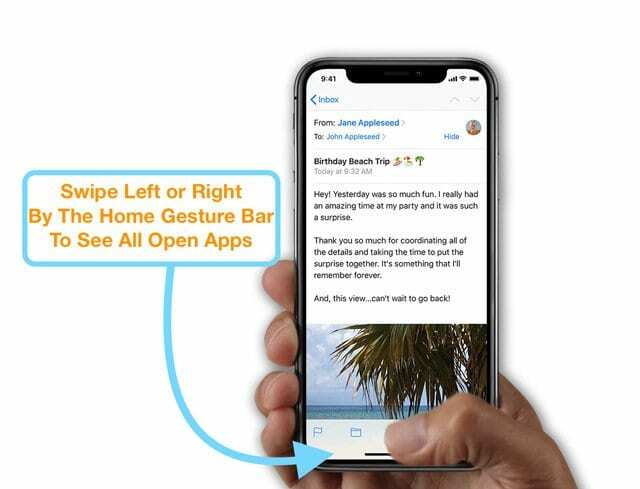 Apple says that a swipe up and pause does the same thing as a forced touch, so if you’re not having luck with one method, try another! 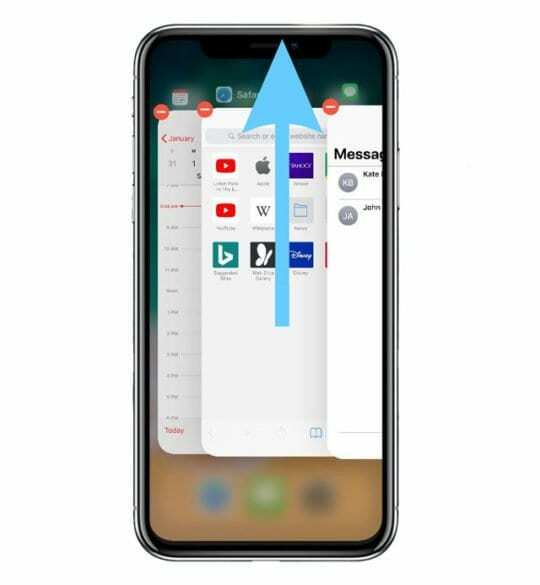 Reader Stephen noticed that on the iPhone X you cannot close apps if you are on a call, so be mindful of when you close apps. Best to perform this activity when you’re not focusing on something else, like chatting with friends and family! Closing apps should never be your routine. When you have a non-responding app or problematic app, closing it this way (a forced close) is acceptable and maybe even necessary. BUT if you are closing apps in the hope of saving hours and hours battery life, it doesn’t work! When not in use, most apps are in a suspended state, taking up little to no resources. So force closing them and opening them again may actually use more power! If the battery is your concern, it’s far better to turn off background app refresh, use low power mode, and follow these other battery saving strategies. If you could do only one thing to preserve your iPhone X Series phone or newer iPad for the long haul, we recommend shutting down at least once per week. That’s a full shut down! Either using Settings > General > Shut Down or long-press one of the Volume Buttons and the Side Button together and hold for a few seconds. Then simply “slide to power off” just like any other iPhone. i have iPhone x i tried all the instructions above. It worked in the beginning but the past week it doesn’t work any more -the minus sign doesn’t appear . If you updated to iOS 12, then you no longer see the minus sign. Just swipe up towards the top of your screen on the app preview to close that app. Do this same procedure for any apps that are not responding or are slow to perform. Ok, coming back to IPhone after 6 years. My kid downloaded a couple of games. He plays them, the entire screen is used by the game. The options menu does not have an exit button. The settings neither. This is every game played on this phone. No way to exit. Not obvious at least. I just took a link to their website that was built into the game. That finally got me to where I could kill the app. There has to be a graceful way. Are iPhone game companies just not putting a way to stop their app the wave of the future? That is desperate if so. Maybe I am missing some trick I don’t know. You should be able to double press the Home Button to get to the app switcher–there you can change to a different app or tap on the Home Screen. Every direction says just swipe up and you will see the app switcher BUT YOU DON’T! 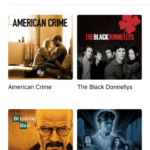 You are lucky after 10 times swiping up you get the app switcher abc if you do most of the time it disappears!! I Have this phone for 2 months and can’t close apps my battery constantly dies and takes forever to recharge which is the opposite of what this phone is supposed to do. I’m sorry that you’re unable to get the App Switcher to appear on your iPhone X Series phone. To see what apps are currently open, just flick on the bottom of your screen left or right. Closing apps doesn’t work on iphone 10! Most expensive phone ever and no one thought to check beforehand to see if it works? Worked for me just now. If it’s still not working, let me know what step isn’t working. I was playing Simcity on my old iPhone but when I got my new X set up today, I couldn’t close the app. I tried all the instructions I found online but nothing worked. The only solution was to turn off the phone. When I turned it on I just deleted the game I’d been working on intermittently for a year. This should not be happening. What I do is press the side button to activate Siri and say Open (Spotify). That takes me out of the game and into another app and I can use the switcher again. Closing apps on iPhone X is a real disappointment. Better solution would be to do away with the extra step of holding app until minus sign appears. Apple, you CAN do better. Every time I have to go through these now extr steps, I do a slow burn. You guys are better than this!!! I play Modern War (MW). My new iPhone X arrived yesterday. Today, for my first time, I opened MW on my iPhone X. 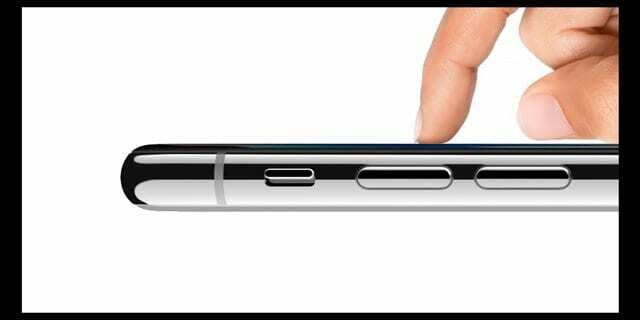 When I needed to do something else with my iPhone I was unable to “swipe MW up and regain control of the iPhone. The only way I was able to regain control was to force the iPhone to restart. I was not on a phone call while attempting to swipe up and move on from MW. 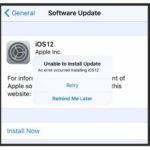 What can I do rather than restart the iPhone? Please do not respond until you also launch the game from an iPhone X and verify your response. 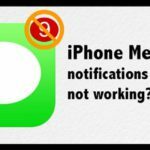 Force closing apps ok no IOS 11.1.2 will not work if you are on a telephone call. Thanks for letting us know Steve. We’ll add that tip in so folks know.